Is your home old and starting to look worn down? Getting Classica garage doors could be the solution to giving your home the enhancement it needs. At Action Garage Door, our trained, professional technicians can install Austin new garage doors into your home so that you can add a little bit of extra flair to your property. 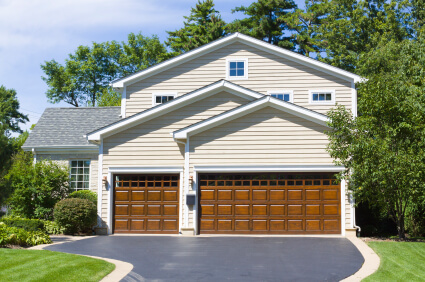 Here are some reasons why the Classica style garage door may be right for you. The great thing about Classica garage doors is that they can give you a carriage house look. It is the first steel garage door to be able to pull off this style and has 100 percent pre-painted steel. Another nice thing is that it works like a normal sectional garage door, but looks like it could swing out vertically. It is very affordable and will give your home a brand new look to it. Besides the design and appearance of the new garage door, it is also very durable and is pinch-resistant, so that your fingers will be protected if they get too close when the garage door is closing. With the steel material of this garage door, you are sure to have the protection and safety you deserve. Improve the style of your home by choosing Classica garage doors. You can get the design and durability that you need in a garage door to protect your home and vehicles. At Action Garage Door, we want to help you get the right garage door for your needs. Contact us today at (512) 582-2764 and get a whole new look for your home.